This is a great light summer recipe that is loaded with vegetables from the garden or farmer’s market. We make a version of this dish at the Cooking Class that I teach for our hospital. It is always delicious and is a great way to highlight summer produce. 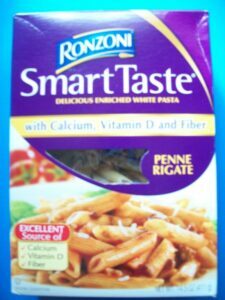 I used Ronzoni Smart Taste pasta for this dish. It is also great with whole wheat pasta for added fiber and nutrients. I often get either pasta for $..50 or less with coupons! (Erin here: I usually get this pasta for free with the right coupon matchup!) An inexpensive way to up the nutrition for my family. You can use any combination of vegetables that you family likes or that is in season. I used red & green peppers and zucchini this time around. Asparagus, summer squash and mushrooms have also been fabulous in this dish. The trick to this dish is to marinate the vegetables after you cook them. The marinade really soaks in once the veggies have softened. Saute vegetables, garlic and onion until crisp tender (around 5-8 minutes). While vegetables are cooking, boil pasta according to box directions. 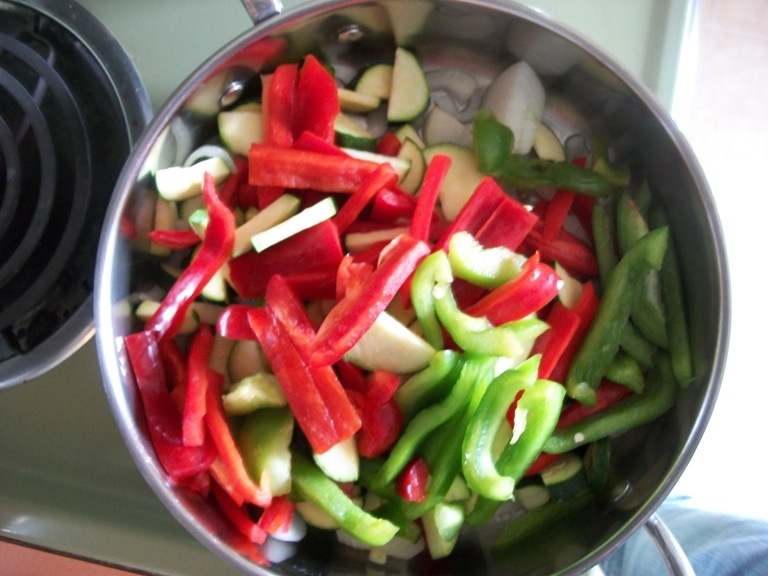 Once vegetables are crisp tender, place sauteed vegetables into bowl. Pour balsamic vinegar over veggies and cover. Allow to marinate for 10 minutes. 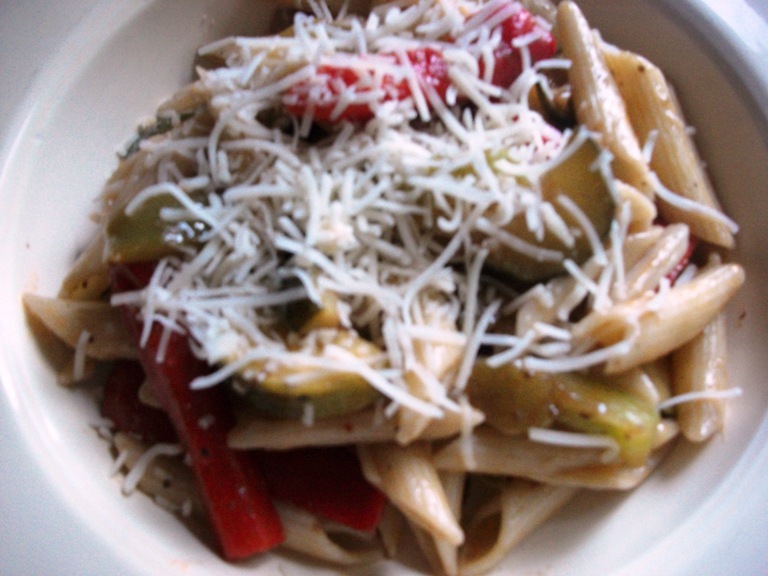 Toss pasta and marinated vegetables. Top with cheese if desired. I made this for dinner tonight. It was simple yet delicious. I used all the vegetables in the recipe plus addes some asparagus. I also used less balsamic vinaigrette than the recipe called for. Maybe 1/8 cup instead of 1/4. I used an Italian cheese blend on top of it instead of parmesan. Thanks for posting! I shared this in my July meal plan article.